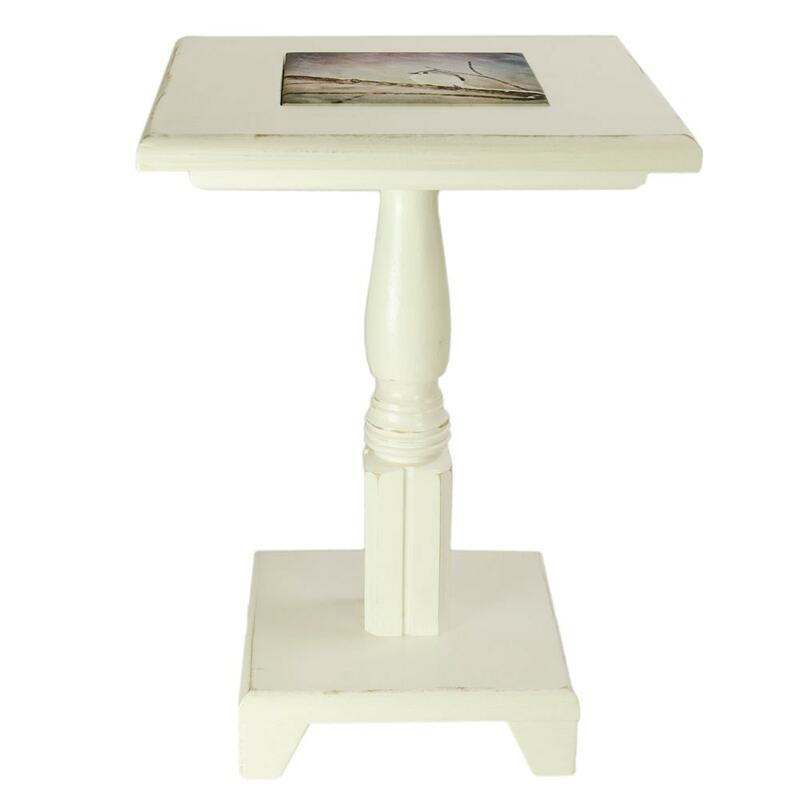 This table is made out of poplar and other hardwoods and hand painted a distressed shade of white with three coats of Minwax® clear satin Polycrylic™ for a durable finish. It features a round turned pedestal and stands approximately 17 inches tall (coffee table height) with a 12 inch square top and a 5.9x5.9-inch tile inlay. 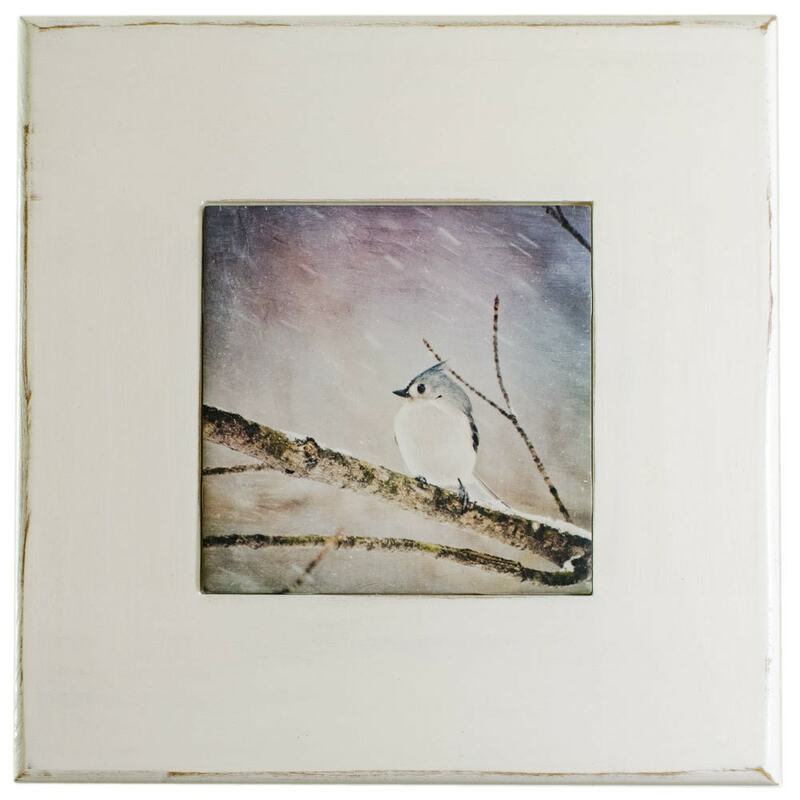 The color of the table pairs nicely with our 5.9x5.9 inch spacer ceramic tile imprinted with a photo of a Tufted Titmouse Bird (pictured).